Yes. That was almost a year of radio silence on the blog. A year. Ok, not entirely, because my last post was published in April 2018, but you get the gist. I could come up with a bunch of reasons for my absense, but truth is that this was a year I just didn’t see coming. One that caught me off guard, so to say. It was the year in which I redefined what taking good care of myself means. What I think is important in life. And who are the people I wish to live my life with. It basically turned out to be another year in which I aimed for growth, experienced set backs and learned I was able to endure all this in a way that I never held possible before. Ok, cool. Wasn’t that a light-hearted start of my first blog in a while? But as I’ve written before, I also took this time to figure out for myself what it is I want to do with this blog; my digital baby I gave birth to more than 10 years ago. And if I’m being very honest with you (newsflash: I’ll always be), I played with the idea of shutting it all down. I’ve loved (LOVED!) sharing bits and bobs of my sartorial life with you for a decade and I am very thankful for the opportunities it has given me. But after all these years, I couldn’t really identify with that person anymore. I tend to think I’m more than the sum of my urges and no longer felt the need to show my daily outfits or purchases (mainly because I don’t buy a lot anymore nowadays, but more about that later). So closing down the entire thing seemed like a great idea. But I’m glad I didn’t, let me explain why. It took me a while to realize what it was I’m looking for in blogs. I’m one of the people who still likes to read the occasional blog (let me know in the comments if you are too! ), but my main focus shifted from mainly outfit-filled posts and barely any copy to blogs from women who have strong writing skills and actually something to say. Because I’ve always loved writing myself and storytelling is what I’ve been doing for the past ten years for both my blog and office job, I decided to put new life in this child of mine. What you can expect might be slightly different from what you’ve seen from me over the past decade, but would match what you’ve seen from me on Instagram: personal reveries, style posts on how to minimize in a world where over-consuming seems to be the norm, and potentially some photography – something I’ve been wanting to explore for years, but never really took the plunge. If there’s anything you’d like to see or read, feel free to let me know in the comment section below or drop me an email: contact@sixfeetfromtheedge.com. I’ve been truly amazed by those of you who sent me the sweetest messages this past year, telling me you enjoyed reading my blogs, wondering if I’d ever come back or just checking in on how I’ve been doing lately.. so thanks a lot. It meant more to me than you can ever imagine. Speak soon! Your transition sounds very familiar as it is something that I have been experiencing as well. I love reading and good storytelling though I am not as good with words as you are. Also I have been minimalizing, buying less stuff and focussing more on what really matters. I am excited to see what you will be writing and I love following (and ocasionally talking with) you on instagram. Thank you for being you! Ik lees eigenlijk nooit meer blogs. Wel artikelen van blogs, als ik die toevallig tegen kom. Maar ik volg jou al jaren, en je blog ook. 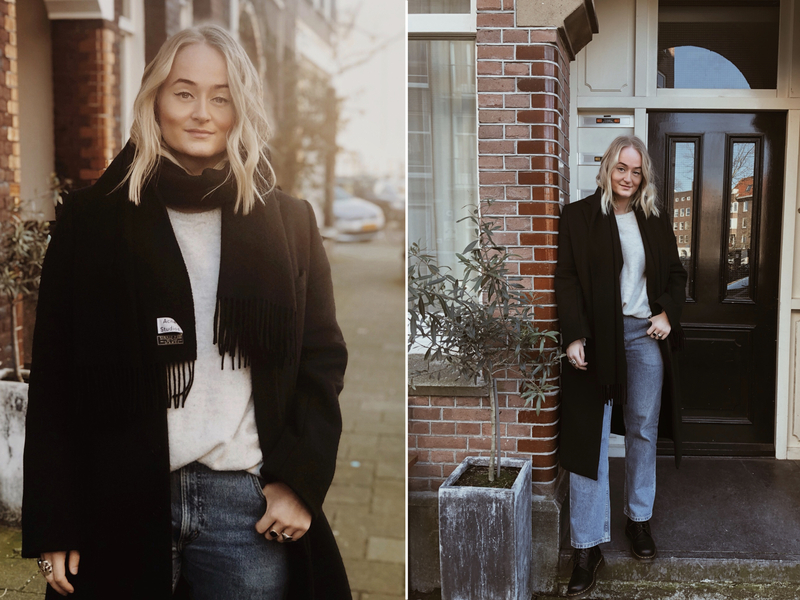 Vind dat je een toffe kijk op het leven laat zien in je blogs en op insta! Dus ik ga je nieuwe posts zeker lezen. Ben heel benieuwd waarmee je ons gaat verrassen. Fijne avond! Looking forward to seeing where you take your blog.